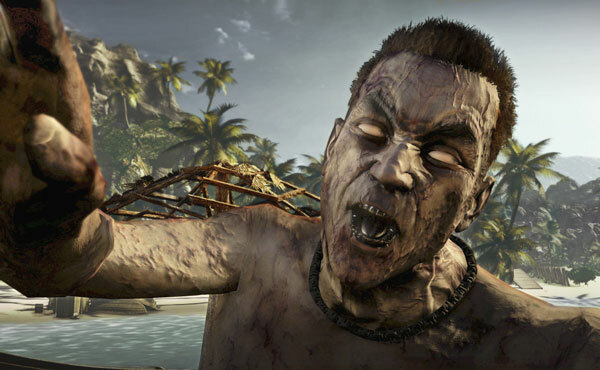 Dead Island PS3 Review. 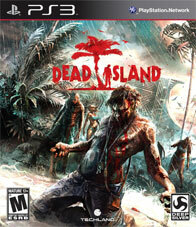 In the end Dead Island as noted has a few rough spots, but the bombastic game experiences bring this one home. 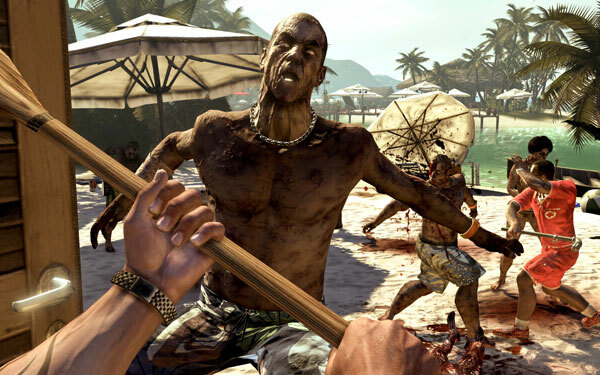 Underneath the rough outer shell of the game that is Dead Island waits a surprising hidden gem of fun survival horror gaming. Some may foo foo and point out that it has elements of Left 4 Dead, and Dead Rising… with the whole team work and making specialized weapons thing. Those that look at the superficial similarities are spending too much time worrying about that and not enough time plumbing the solid fun survival style adventure they have in Dead Island. Over 20 years ago when I wrote one of my first roleplaying game books a veteran of the roleplaying industry told me that there are no brand new ideas just new ways in how they are utilized. Some of the ideas may not be new, but the utilizations within the game make this a solid survival adventure. Does it have its flaws? Of course it does, some are minor, some are not and some can be annoyances, but oh my, what a ride! Oddities include clipping which once in a while gets in the way of game play. Like losing a thrown item by it falling into a graphic (Or I am just throwing it too far and losing it maybe) or just strangeness of seeing characters or zombies seem to meld together once you have downed them. Odd things in point that will tend to go in the players favor are after leaving an area and coming back, money and or items will re-spawn or even a different item will spawn in a spot you may have cleared so supplies and items are never a problem. Now Techland and Deep Silver seem to be as ravenous as the creatures they have created in the game when it comes to their baby, If they are as passionate as their Manager of Marketing and PR Aubrey Norris, I am sure any patches they are planning will help tweak out the game. With all the game strangeness and roughness and points that do not seem as polished as they could be, it would seem that it would have been doomed to not be any degree of success. Not so here. Surprisingly the game is honestly fun. 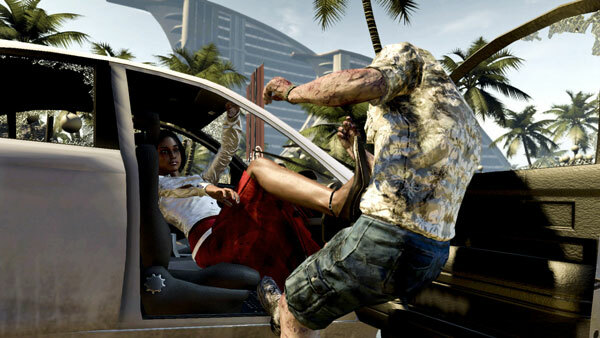 Dead Island is a huge ambitious game that may not live up to everyone’s expectations, then again whatever does? The game does so many things right, that any of the wrongs seem to be pebbles in the back of your mind. They are there, though you are having one hell of a gaming experience none the less. In game music track and the whole atmosphere of the environments makes for a creepy experience. Even with the cliché of a flashlight running out of batteries in the most inopportune times. You know its horror game and movie fodder but you still cringe and squirm when it happens. The games focus on close up in your face combat keeps gamers on their toes. In the middle of a fight it is not uncommon to be attacked from another direction, forcing the already hectic live or die combat to move and dodge and use some fighting strategy to stay alive. Let me digress a bit here. 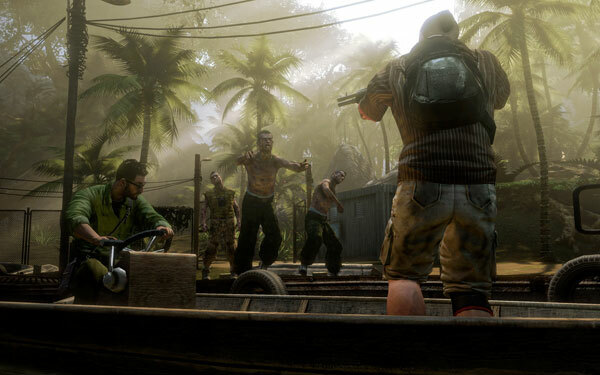 All the action in Dead Island takes place on the Island of Banoi, which is located someplace in the South Pacific. It’s an Island paradise playground for vacationers, whom have the money to partake of its many indiscretions, at the resort known as the Royal Palms resort. Of course not all stays normal and serene on this island get away, after a rather interesting and somewhat jostled opening through the eyes of a character on a drunken binge, things soon after, start to go terribly wrong in paradise. Players get to play as one of four characters, all of whom seem to be immune to changing into the walking dead. I’ll give the bare bones basics of each so as not to ruin the fun of discovery of characters and motivations in the game. They are Purna, who is a former police officer from Sydney. She is half Aborigine and a beautiful woman who eventually, due to an incident she ended up in the job of bodyguard for VIPs. Her specialty is firearms. Xian Mei, she was born and raised in China. This undercover cop is her as a spy to get the dirt on targets and assets for her country. Her specialty is the use of sharp weaponry. Sam B is a heavy dude a one hit wonder from the rap scene. On the island because smaller than small venues are all he can book these days. He is the brawler of the group, but specializes in blunt weapons. Logan is an ex sports star who has skills across the board though his specialty is throwing weapons. One thing that players will notice is that the game will not just hand you guns. After all this is a resort, so there are not guns all over the place. Most of the times players will have to go all melee on the dead. Though be aware, weapons will wear out over time and use. Player will want to check the weapons in inventory to make sure they are not going to splinter into nothingness at the most inopportune time, such as when a zombie is trying to chew your ankle. In a pinch a good slug with the fist may buy a few seconds, better yet a good strong kick can do some damage too. In fighting the hordes of dead something’s are very important, do your best to not be surrounded. Need breathing room? Give a good strong kick, if you manage to get one down and the others are not close, stomp the crap out of the zombie before it gets up. You can also aim and throw weapons. Depending on where you hit them, they either go down or are slowed down from a charge… giving the player enough time to get over to the zombie and put it out of your misery. So I play more and more to be able to write this article and I am going, this is actually pretty surprisingly more immersive than I thought it would be. It’s as if the game is infecting me, sucking me into this desperate world of survival. The zombies and dangers of this island show no mercy, and no matter how many times you hear the screams of the different types of zombies as they come charging at you… you still get that dread. Run or fight? Swinging and kicking away like a possessed person will only yield the result of your stamina dropping faster leaving you helpless and soon dead. Making your shots count and using some form of strategy will keep you alive. Get the edge, or run for your life. Using obstacles to your advantage, or a narrow entry way or walkway keeping a crowd of them coming up one point helps a lot. If you get mobbed you end up off balance and defenseless as the attacks rain in from all sides. Though I must say even dying does not really hold much consequence since you lose a little money and have to wait a few minutes to re-spawn… sometimes only a few feet from where you bit the big one. Enemies seem to react differently from the different attacks, weather they stumble back a bit from a glancing kick or a limb gets broken from a well-placed savage blow. If you end up in a fight, don’t expect that you know the outcome each fight is different and the different elements of the situation can change in an instant. That is exactly why this game is so engaging with outright exciting and engaging moments. Now the striking weapons are more prevalent in the game but you will eventually find guns. The guns and the bullets are precious here and players will do well to make sure every shot counts. The guns you will find alright, while the bullets on the other hand seem to be scarce. Plus like any good zombie story the living dead can take a lot of damage. Though there are times when there other dangers that the fire arms will come in handy. So your best bet is to be frugal with the precious bullets. Weapons are rated using a color scale from white to purple, so there are some common weak weapons and then the real legendary weapons which are real treasures. Digging around trash bins or drawers and cabinets or just things laying around or in luggage, you never know what you’re going to come up with. Now as noted earlier about weapon crafting and repair benches, most of the weapons and parts can be combined to make a new cooler zombie hurt dealing weapon. The eye candy rewards and ways to take out zombies are well worth the effort to see some of the eye popping gory effects. There are characters that the player meets that also can purchase items from the player, or the player can stock up and purchase items for themselves from the Non player characters. 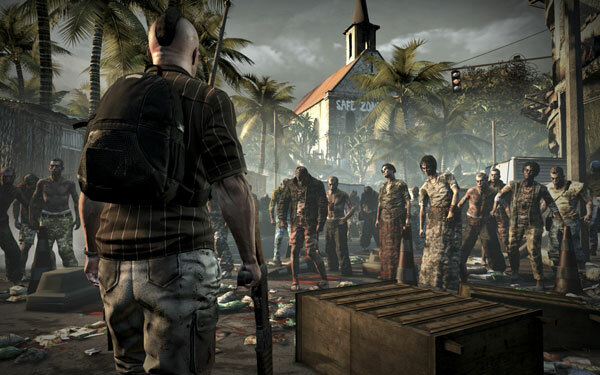 Other survivors will often have things they need help with, giving the game many side quests and chances to explore the surprisingly large island. Travel can be handled a couple different ways. Walk and or run (Though running does wear down your stamina as well as fighting), if you’re lucky you can find a vehicle in working order and drive. Driving is actually pretty cool as you mow down a few of the monsters in the comfort of your ride. Then there is fast travel to points using a map posted at key points in the game that you have already visited to unlock this feature of the game. As noted the look and feel of the game is wonderful. The world seems alive, well mostly dead, but it seems real. The island paradise is rendered with picturesque beaches and lush jungles and flowering bushes. Weather effects with the wind blowing through the trees and kicking up some sand off the beaches looks great and the creatures seem to be part of the world. Interacting with it, from munching on a victim to bashing at doors and or trying to get at other survivors. The players’ interaction with the world includes what could be considered mini games of sorts, bashing down a door pops up a meter of sorts. The closer to the center of the meter you can get, the more successful you are. Or more like the sooner you can breach the door and get to possible safety. There is nothing like hearing the grunts or screams of those rotting corpses coming for you and trying to bash in a door to get away. Now in game atmosphere you are almost always on edge, unsafe, and that my fellow Impulse Gamers is the feeling you want from a survival game, just wondering when you will hear that dreaded scream of the zombies as they catch site of you and are coming after you. So the concept of fellow players to interact with and move through the game is pretty awesome. Since each player is going to have a different character and they will have different ideas in how they want to spend experience points in their own skill trees, then joining a game the characters would have different abilities and skills. Even if they chose to play as say the gun expert or sharp weapons expert or the thrown weapons expert. The way each player builds their own skill tree makes it diverse in abilities. Joining a game is easy. A player can decide if their game is visible to other players online and also set the number of slots open in the game of up to three other players to join them. A pop up message comes up letting you know another player is close and can join you if you wish. The different experience levels and how far in the game each player is, does come into play. Keeping things balanced so no one player in a multi-player game has to carry all the weight. 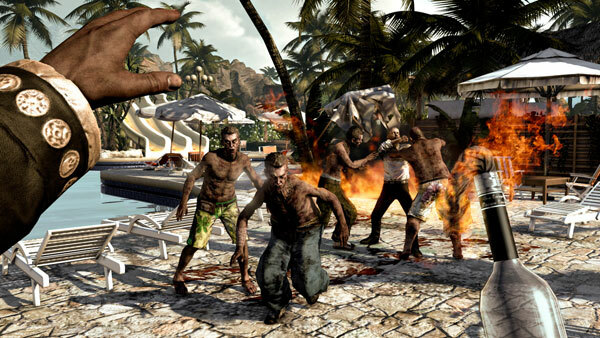 The drop in drop out multi-player gaming in Dead Island is a nice touch all around. Player can drop in or drop out of each other’s games with no loss of progress. They can then continue on their own if they so wish too. Nice. In the end Dead Island as noted has a few rough spots, but the bombastic game experiences bring this one home. With a bit more TLC from the developers this game can well be stellar. It’s a surprising game experience in an already zombified gaming industry with other titles. It’s a game that for whatever reason stands out. It manages to feel fresh and new in its presentation and gaming experience. It’s survival horror how it should be. Instead of running for the finish line that is the end of the game. The player is working at surviving and hoping to get to the end in one piece and enjoying every moment.